What Sifter Triggers and Actions Are Supported? New Issue - This will alert you to new issues. 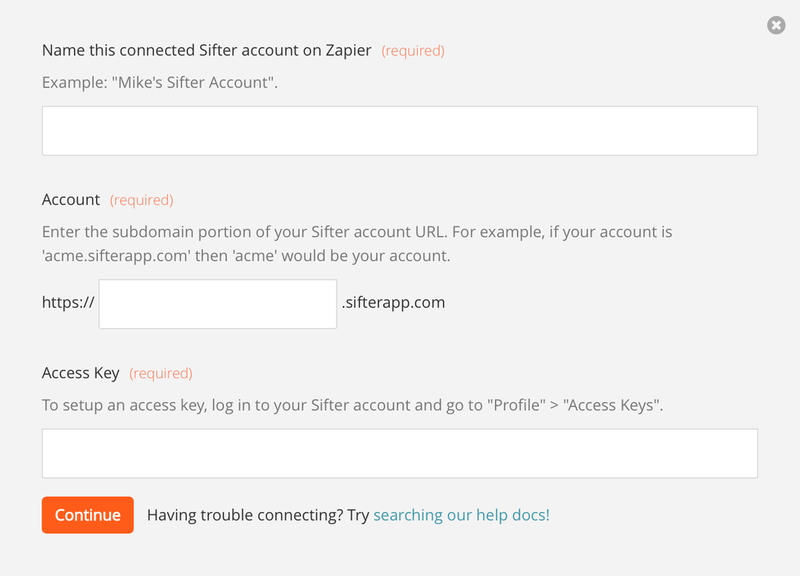 To get started with Sifter, first click to add a Sifter account to Zapier to be used in your zap. Next you'll be asked for your Sifter subdomain and access key. To find your Access Key, you'll first want to log into your Sifter account and head to your "Profile". On the next screen, click on "Access Keys" in the navigation. 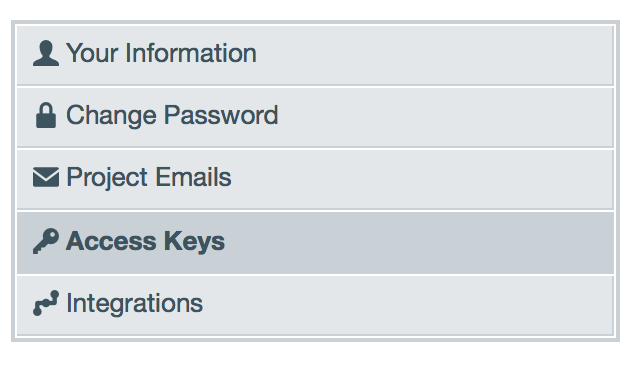 Once on the "My Access Keys" page, create a new Access Key. Once you've created the Access Key copy and paste it into Zapier. After you've entered all the information and clicked continue, we'll test your account to make sure the connection works. If it does, you're all set!